Three and EasyJet have teamed up to make your next mobile phone deal one to write home about...from wherever it is you choose to fly! Yup, you could grab yourself a great deal on a smartphone and get holiday vouchers and privileges thrown in to sweeten the exchange. Get a new phone deal or contract from Three (with 12GB or more data) and the network will send you a voucher to get £150 off your next EasyJet holiday. On top of that, you also get special treatment at the airport with EasyJet Plus Bag Drop also included. This lets you leave your carry-on bag at check-in with it coming off the plane first at the other end. You even get a free tote bag so you can carry essentials on the flight. And by pure chance (probably), Three has also just revealed a new set of tariffs that give you a whopping 30GB of data, for the usual price of 12GB. That's an enormous amount of data, which works in over 71 countries thanks to Three's Go Roam coverage. And that's not including the unlimited Snapchat and video streaming from the likes of Netflix, which are included for free on Three. The deal runs for the next four weeks only, so be quick if you want to get involved. You can head straight to the Three website to take your pick of phones including Apple's iPhone 8, the gamer-friendly Razer phone or the brand new Samsung Galaxy Note 9. Or simply cast your eyes to the bottom of this page to choose your perfect deal with our Three comparison chart. Three says that around 1.5 million of its customers used their phones abroad in August last year, so it sounds like this offer has just come at the right time. If it all sounds a bit too good to be true, then it's definitely worth checking out the Ts&Cs for this offer here. 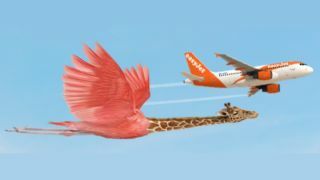 For example, the vouchers are only available to use on EasyJet holiday packages - they can't be used on flights alone. What's more, you have to book for a minimum of three nights with two people or cost at least £800 (including flights, hotel, baggage and transfers). So there are restrictions, but if you were just planning your next getaway and need a new mobile phone deal, then get yourself over to Three to see if you can take advantage.